The Genat and Wood Friction Disc Variators modular design allows us to combine variable speed gearmotors with our extensive helical geared motor range. Hence, allowing us to provide a large range of ratios and output speeds to suit any application. 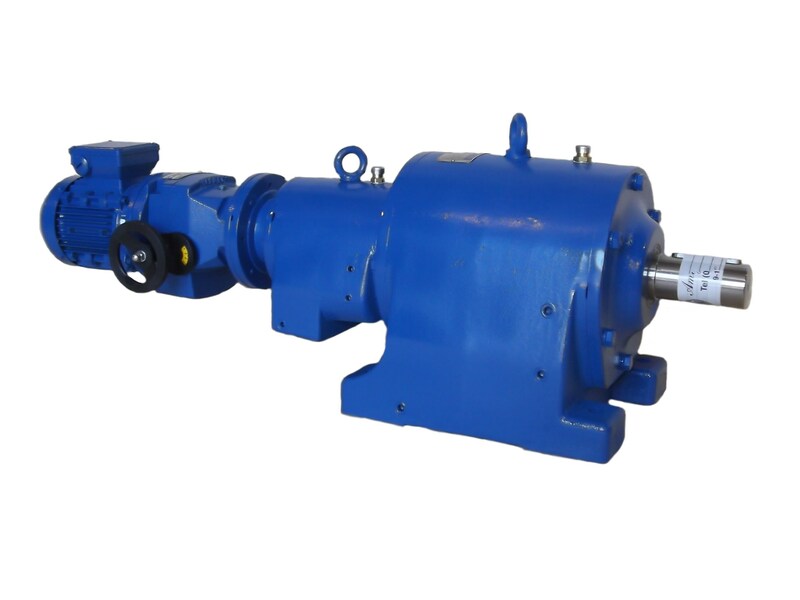 The variable speed transmission system is based on the transfer of power, by friction, between the friction cone (1) mounted on the motor shaft and the friction ring (2) mounted on the transmission shaft (5). Pressure between the friction cone and the friction ring is maintained in proportion to the output load torque (by means of the dog-clutch cam faces) (4). A spring (3) inside the concentric transmission shaft provides a low contact pressure between the cone and the ring during no-load or idling periods. As a result, this allows speed setting changes to be made whilst stationary, this being a major advantage over other types of variable speed drivers. 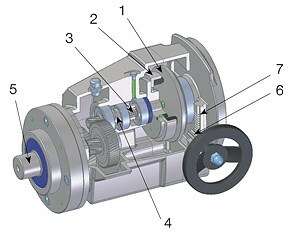 Speed variation is achieved by movement of the motor, on guides, by a rack (7) and pinion (6) attached to the control hand wheel. To checkout our VAR range of friction disc variators click here. You should contact us now!